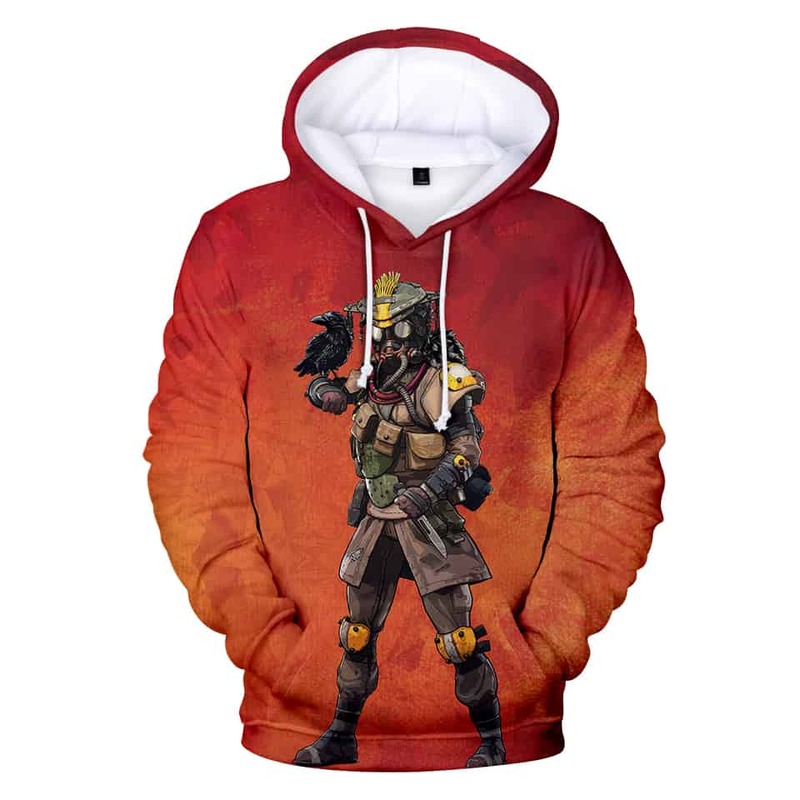 Bloodhound Apex Legends Hoodie features Bloodhound on a red background. Bloodhound is known as one of the best hunters in the Outlands. Much of their identity however is not known. This hoodie features a graphic of Bloodhound and his black raven.